Lara Lington has enough stress in her life when the spirit of her great-aunt Sadie visits with one last request: find her beloved necklace. Feisty and opinionated, the 23-year-old ghost won’t leave Lara alone, especially in matters of love. Lara is already trying to run a failing business and win back her ex-boyfriend, and a demanding ghost is not helping. As the two try to work together, however, important truths are being uncovered. 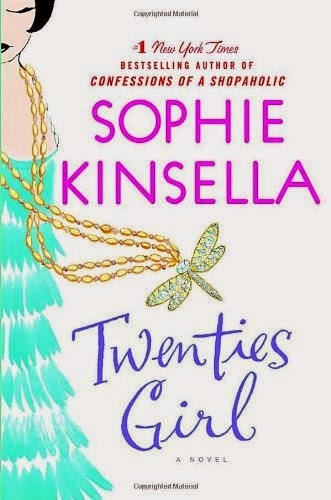 With the wit and charm that is common with Kinsella’s books, Twenties Girl was a fantastic read. While it was a basic chick-lit read, the ghost element brought in some really refreshing elements that I enjoyed. And though I’m still confused as to why the lead guy changes his mind on love (maybe he needed to be developed a little better), I really enjoyed it. It doesn’t take a lot of brain power so I definitely recommend it if you need a fluffy read.